Supermodel Elle Macpherson looked stunning on the red carpet wearing a metallic gown made of stretch brocade, featuring a fluted skirt with godet and long sleeves from the Fall 2017 Collection. (Nashville, TN) Actress Kimberly Williams-Paisley looked radiant on the red carpet wearing a pearl stretch crepe gown featuring an angular boat-neck bodice and a fluted skirt from the Spring Summer 2018 Collection. 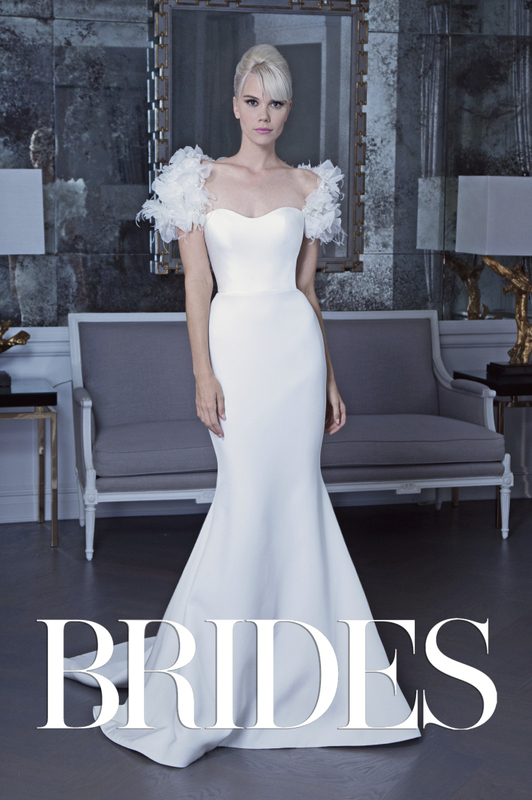 Impeccably executed, supremely elegant and with just enough of a twist to make a statement, the Fall 2019 Romona Keveza Collection Bridal is a dream for brides looking for wedding dresses that are fashionably fresh, and at the same time, have all the elements that will ensure they’ll stand the test of time. Pure class and instant classics in our book! 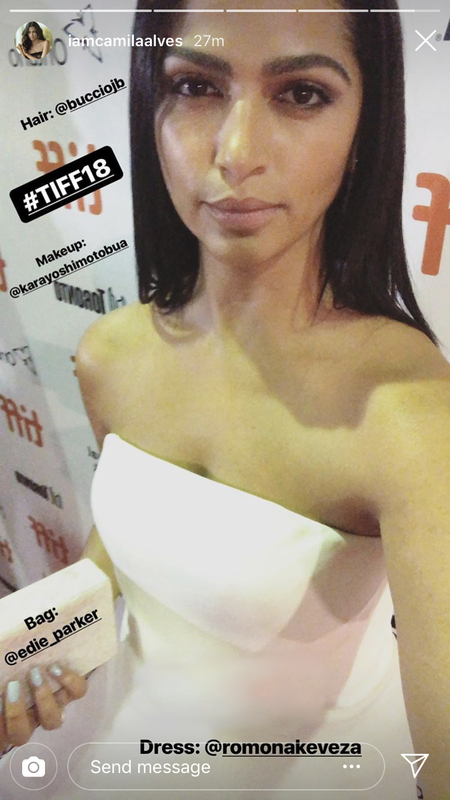 Ashley’s Romona Keveza gown added a modern edge to the event, as well. “I saw the dress online and just knew it was the one. 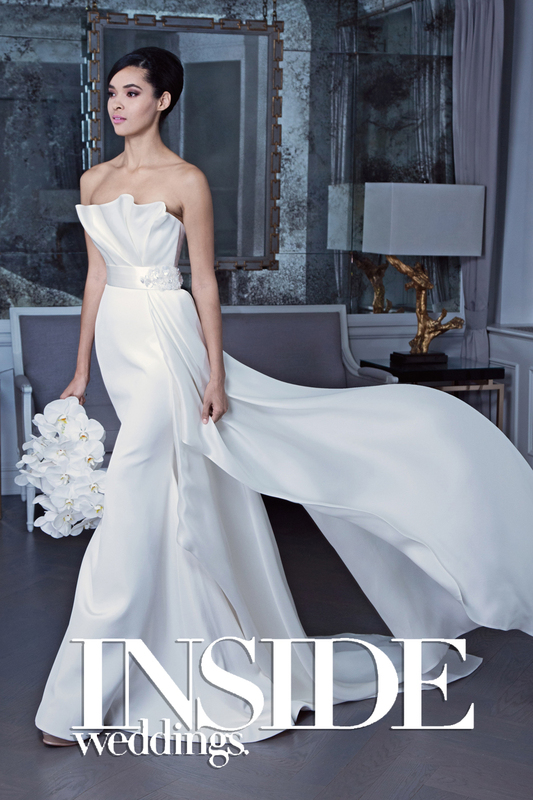 It was elegant, sophisticated, and definitely not traditional,” she says. The asymmetric neckline topped a sleek skirt, while the slit revealed Ashley’s Valentino Rockstud pumps. 5-ply silk crepe featuring a 2-tiered illusion overskirt from the Spring Summer 2017 Collection. 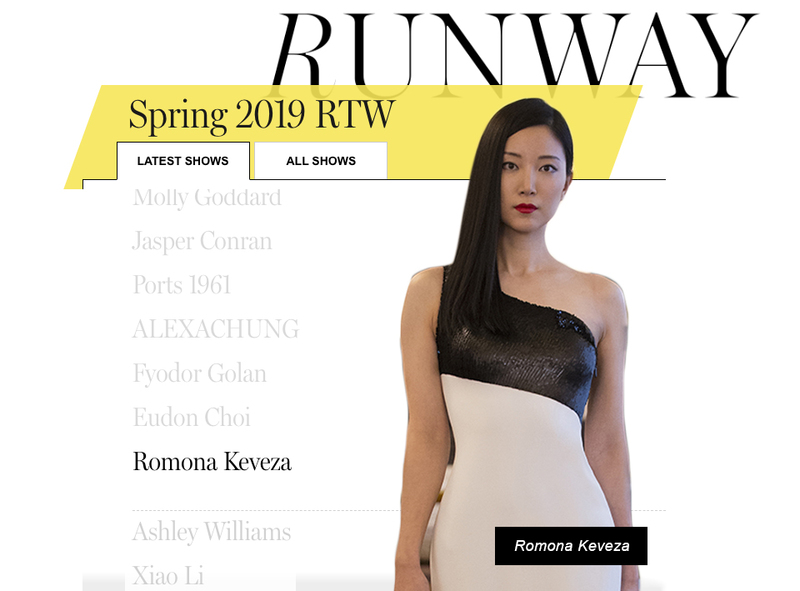 Romona Keveža debuted her Spring-Summer 2019 collection yesterday at the Baccarat Hotel in New York during NYFW. This collection marks the 10th anniversary of the brand and was inspired by all the amazing women Keveža has dressed on the Red Carpet over the years. Stay tuned to "IN THE NEWS" for full runway coverage.